We received a lot of feedback regarding the proposed variation of graphics for North Africa. All these points were quite reasonable, and we have attempted to include adjustments in attempt number two. We have all new slope hex sides that are narrower and re-textured compared to the originals. This is the first time these components have ever been revised, so it is a different look. They also assume that the lighting source is from the top left corner rather than from the top of the map in the old hex sides. 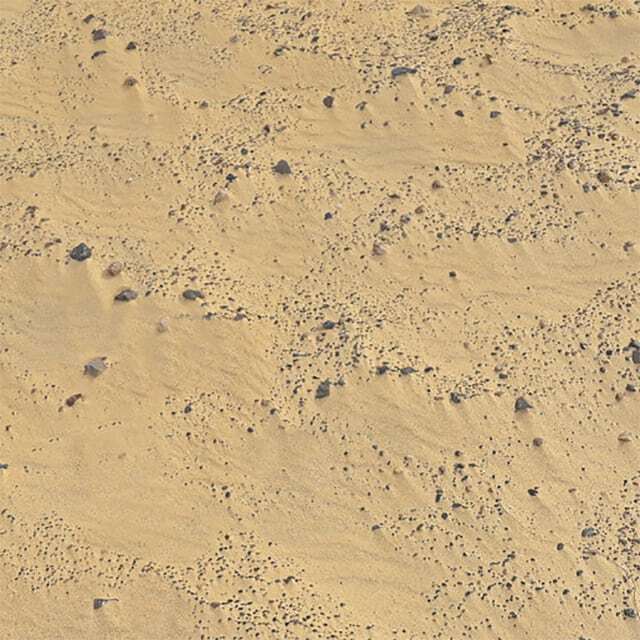 There is subtle colour variation in each elevation level (see the Brevity & Tobruk Gifs below). This is not as marked as the original artwork as we wanted a slightly more ‘natural’ look, but there is increased differentiation compared to the original single colour terrain set. The salt marshes have been redone for the new desert terrain set. There is now a ‘sandy’ layer added that softens the colour variation. The jury is still out on whether to dump the new rough terrain that is meant to represent particularly rocky terrain. This may require further experimentation. There was also some misalignments of some of the terrain hexes – this has all been corrected. We have also included some examples of the changes proposed for Crete, which will include Mediterranean water as well as the new slope hex sides. As done previously, here are some example Gifs so you can see the progression and different views. Please note these were captured at 2560 x 1440 resolution and can be clicked to be viewed at full size. We’re providing these revisions for feedback and I’m certain these will continue to be tweaked up to release. We will do our best to give players a choice on the graphics available in game. As before, please put any feedback in the comments section below. Will there also be an option, as in the new ACW series, to switch off the hexsides completely and to change contour widths etc? They were brilliant imports from (I think) the Campaign Series graphics. We can certainly have a look at this – no guarantees, but we have the code as you said in the AW series. Maps are better, but the ACW switches are nice and would solve most problems. This looks great! Much appreciated that you guys humbly took feedback and refined the look. Looking good. Is Crete too green? I find easier in the new version notice the elevations, even if you dont use the contours, the only thing i still dont like a lot is the new “rocky” terrain, remember me more a representation of Scotland map hehehe, more serious the rocky terrain problem is you need use hex borders to notice better where is every hex is not like you are going to use them a lot and to move vehicles you have roads. The new colours are better specially the white sand that is still visible but less “neon” effect. In general map art improvements are good and for me this part is practically done, i am curious now about the unit art and the easter eggs in the OOB. I had been experimenting with replacing the ‘Scottish’ rocks. Here is a link to the new look for rough (i.e. stony desert). One thing to note is for whatever reason the images being put up here are slightly more yellow than the actual colours in game. The ground has a bit more brown in it. Thanks for take in consideration the suggestion, map looks better with every update… maybe you can release the other rocky terrain as alternative to the stock version, more options to select is better and you made happy more players. Cant wait the next update, expect all work fine and we can start with the dense reports.